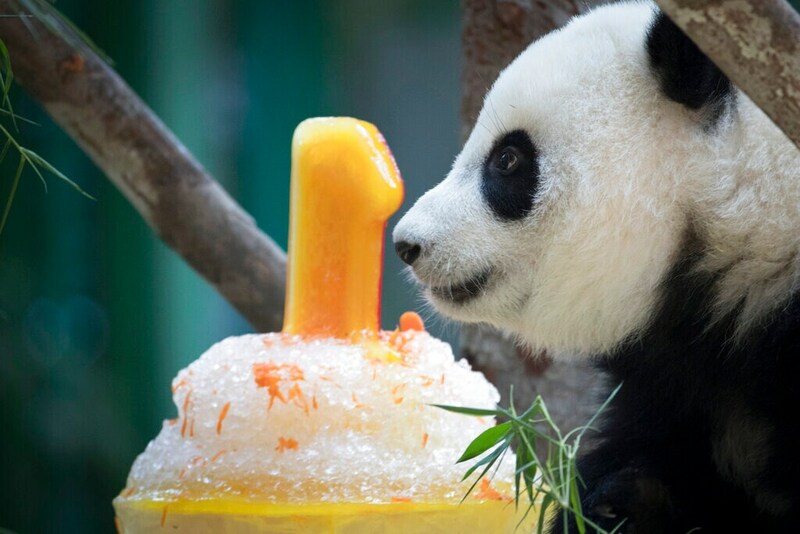 A female panda, still unnamed after being born in a Malaysian zoo, celebrates her first birthday with an ice cake. 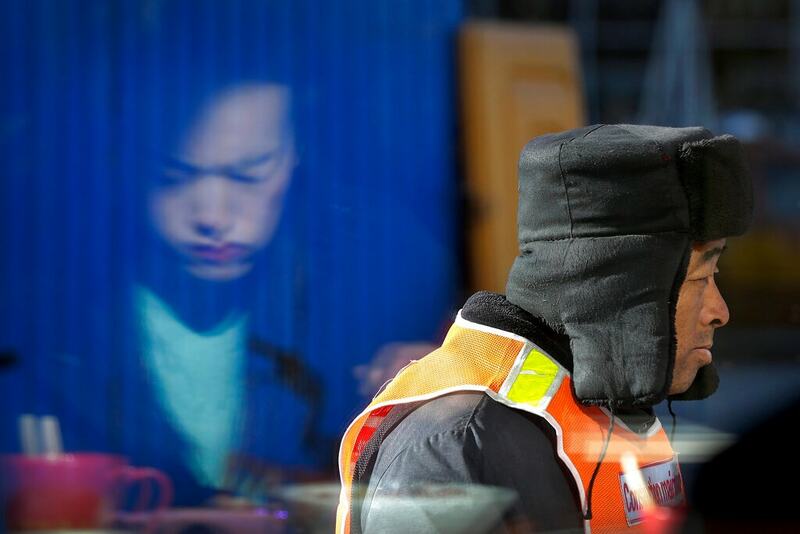 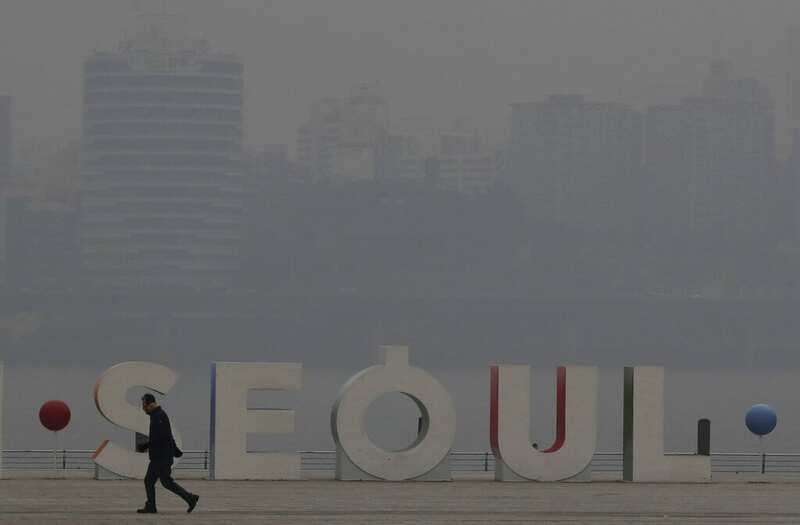 In other images from the Asia-Pacific region this week, a man wears a mask along the Han River in Seoul, South Korea, as unusually high levels of smog worsened by weather patterns engulf parts of Asia. 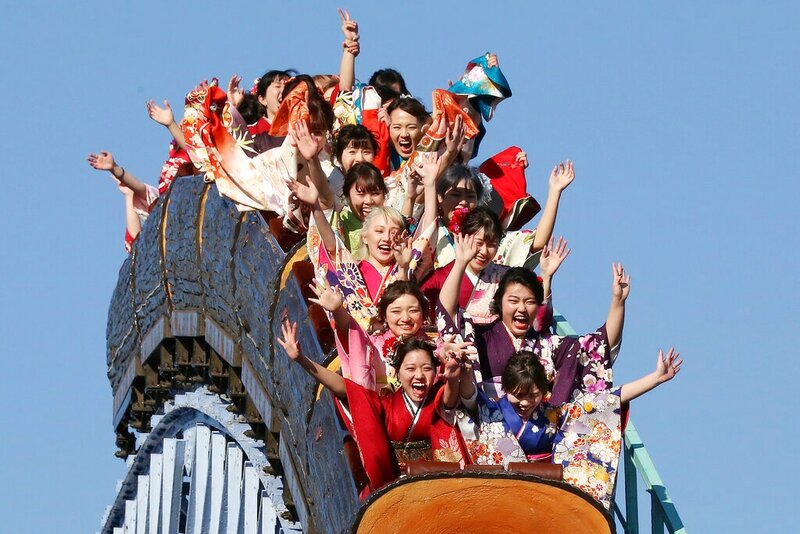 Kimono-clad women celebrate their 20th birthday on Coming of Age Day, a national holiday in Japan, with a ride on a roller coaster.